Whenever we travel or step out of our houses, the one thing that we need. The one thing you look for when you are feeling off. Our headphones. They have made our lives a lot simple in many ways. It keeps you entertained anytime anywhere without disturbing others. When your hands are busy with other work, it lets you answer your calls and talk without any interruptions as they are extremely handy. With headphones on, you can live in your own fun world. So if you are looking for comfy and handy headphones to create your entertainment world, remember, your comfort should be your priority. Go for best headphones under 100, comfortable to wear and available at affordable prices. Apart from these attributes, checking on durability and warranty is also an important factor. Whenever you go to a local store, try wearing headphones multiple times to judge them if they poke your ear in any way. The Mpow headphone works on the principle of passive noise isolation. This ensures that the sound quality is not affected and the battery does not drain rapidly at the same time. The headphone features a closed-back design along with a 40 mm driver and a CSR chip that renders excellent immersive, balanced, detailed and robust sound. The stereo unit is fitted with two soft memory-protein earmuffs that have a texture similar to that of the human skin for the user’s comfort. It also has a padded soft headband and a stainless steel slider that supports position adjustment for you to get the right fit. The accessory additionally features an inbuilt microphone and hands-free calling functionality. The headphone supports both wired and wireless connectivity options. It has a folding design that takes up minimal desk space. The accessory encompasses an inbuilt 420 mAh battery that offers up to 20 hours talking or music time with a single charge. 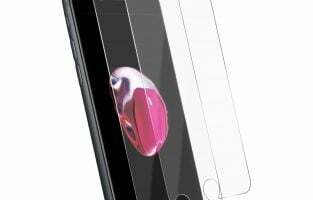 The unit comprises a durable anti-scratch UV finish. The headphone is available in seven colors of black and red, black and blue, deep black, black and green, black and grey, light silver and pink. It comes with a USB charging cable, a 3.5 mm audio cable, a user manual and a packing bag. The OneOdio headphone has two large 50 mm speaker unit drivers along with neodymium drivers. This produces powerful bass, as well as renders crisp high tones and clear vocals from the perfectly balanced sound. The studio monitor headphone comes with a closed back over-ear design. It comprises telescopic arms with scale and ear cushions padded with protein leather for maximum comfort and noise isolation. The accessory supports adjusting and stretching functionalities so that you can try different angles and determine the apt and comfortable angle that fits you comfortably. The ear cups feature 90 degrees swiveling capability to both the right and left to support single ear monitoring whenever you want. The flexible padded headband ensures that you get a fatigue-free listening experience even when you use it for long hours. 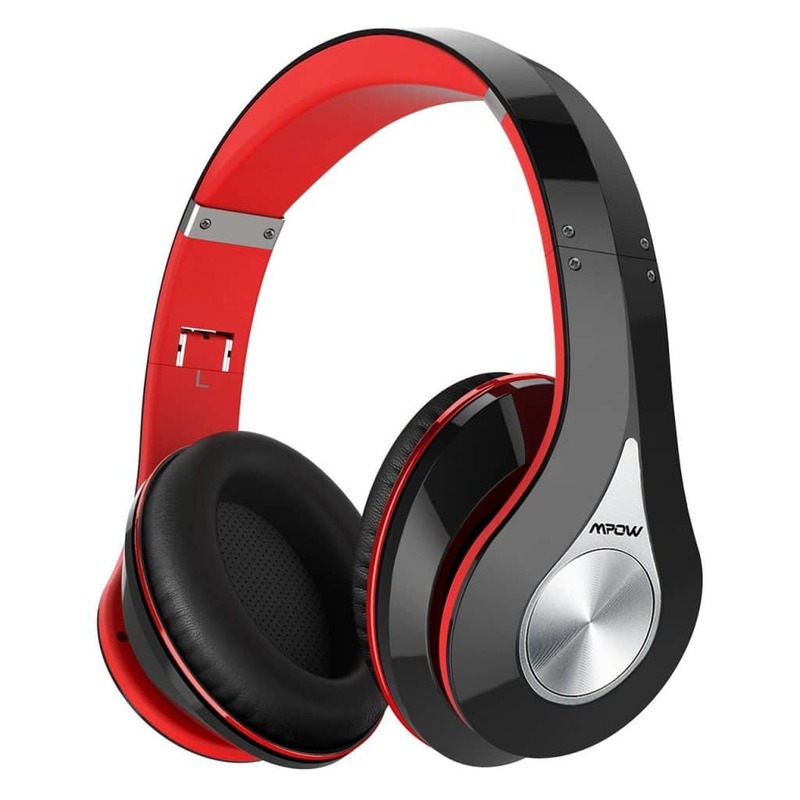 The durable headphone is made of matte plastic and features chrome trims with an overall glossy finish. The accessory can be folded to make it flat so that it fits conveniently into the provided pouch and takes up less space on the desk. It comes with two detachable cables – a 9.8 foot DJ style cord and a spring cable with a standard 3.5 mm plug on one side and a 6.3 mm plug on the other. The adapter free headphone is compatible with Android smartphones, iPhones, iPods, iPads and most other audio devices. The unit is available in three color options of black, silver and red. It features a two years warranty. The iJoy headphone features an accurate and deep bass response with an extended frequency range to deliver crystal clear sound. The headphone comes with memory protein super soft earmuffs and an adjustable headband with an easy to fit snug padding on the inside for protection and comfort. The earmuffs are flexible to make them fit anyone who wears the headphone. The ear cups fit perfectly around the ears to help in audio isolation and noise cancellation. The wireless unit is integrated with five buttons for multiple functions like equalizer, previous track/volume up, next track/volume down and pause/play/hang up/answer. The Bluetooth 4.1 accessory also incorporates an inbuilt radio receiver, a memory card slot and a built-in microphone to assist in hands-free calling. The foldable design makes the headphone quite compact to keep aside when not in use. The accessory comprises an ergonomic design made of premium quality materials and has a matte finish to make it ideal for daily use. The unit is available in 11 different color options. It works with a rechargeable lithium-ion battery. The headphone comes along with a user instruction sheet, a micro USB charging cable and an aux in cable. 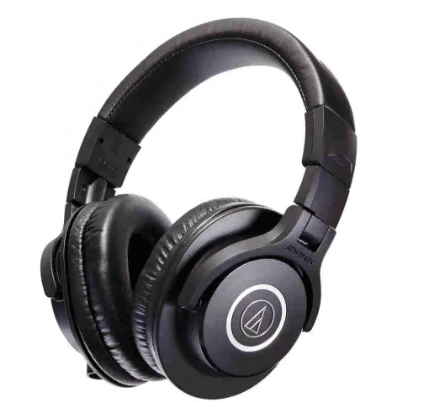 The Audio-Technica headphone encompasses 40 mm drivers that comprise copper-clad aluminum wire voice calls and rare earth magnets that assure you of solid bass and accurate frequency response. The headset is fine-tuned for high-quality mid-range definition and improved details. It features closed back design and circumaural style contours surrounding the ears that ensure high-quality sound isolation with minimum bleed in loud environments. The circumaural design also ensures that you feel comfortable even when you wear it for an extended period. The accessory has a folding capability that ensures it is easily portable and does not take up much space. The black headphone comes with a fitting single left-side cable exit with a straight 9.8 feet cable. It also includes a 1/8 inch connector with a 1/4 inch cable. The lightweight unit is highly durable because of its robust construction and cutting-edge engineering. This makes the accessory highly suitable for everyday use. The headphone comes with a protective carrying pouch with a string type closure mechanism and a 6.3 mm screw-on adapter. 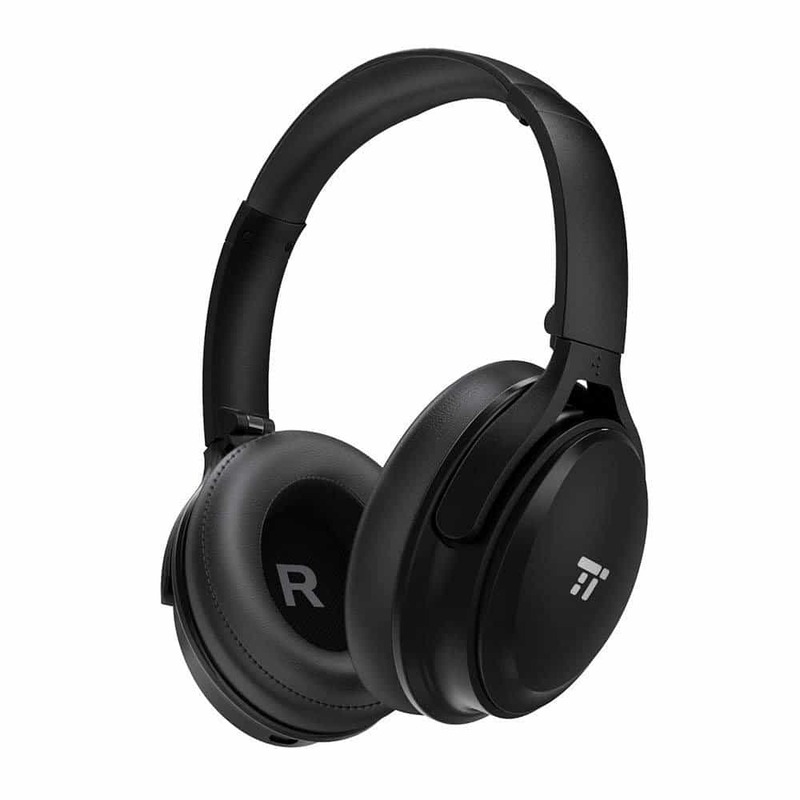 The TaoTronics headphone comprises an active noise cancellation switch that you can turn on to listen to your favorite music with no or minimum distraction. The headphone is integrated with a CVC 6.0 noise cancelling technology that filters the ambient noise of the microphone to ensure the calls you receive are clear even in loud environments. It also features two 40 mm large-aperture drivers that help you experience aggressive bass with bright highs and balanced mid-levels. The accessory also renders maximum comfort with its ergonomic headband, adjustable fit, extremely soft leatherette protein ear pads and 90 degrees swiveling ear cups. The adjustable property of the headband it fits seamlessly on heads of all shapes. The soft leatherette covers your ears completely and makes them feel comfortable when you use it for long hours. The headphone works with two rechargeable lithium-ion batteries that come along with it for you to start using it right away. Moreover, the batteries also ensure a long life on a single charge that allows you to use it without interruption for at least 25 to 30 hours. You have to only plug in an audio cable when the battery is low. The accessory is available in four color options of black, red, blue and pink. The unit comes along with a user guide, a USB to micro USB cable, a 3.5 mm AUX cable and a carrying case. 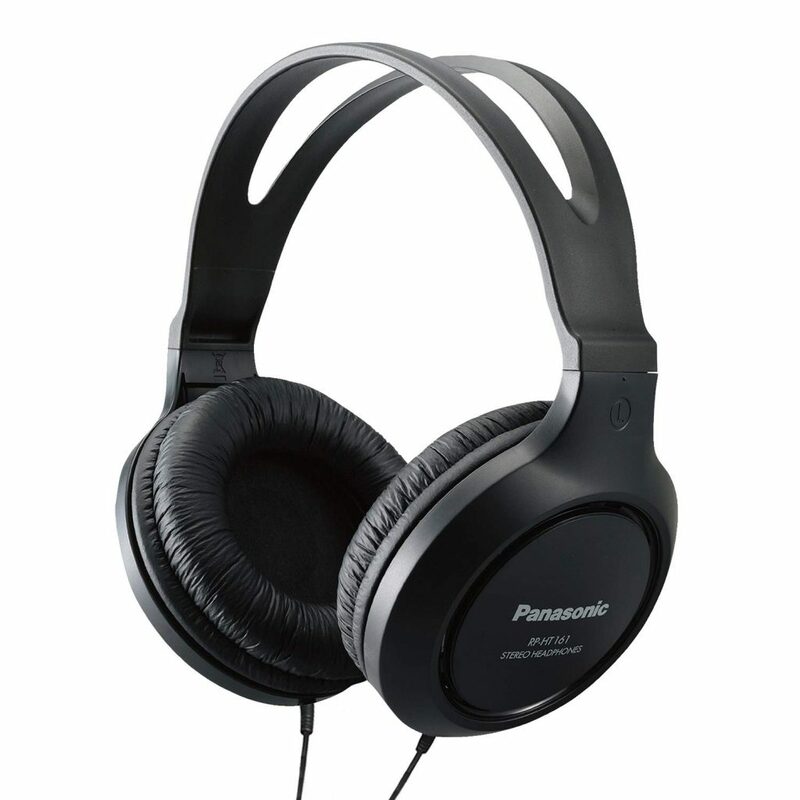 The Panasonic over the ear headphone renders high frequency and balanced sounds. The wired unit comprises two 30 mm neodymium driver units with a maximum 1000 MW power. They produce powerful bass, as well as high frequency and mid-range trebles for clear lyrics and vocals. The large earmuffs have plush and soft padding that cover the ears fully with a tight and snug seal to lessen unwanted distractions and noise while ensuring comfortable listening at the same time. The headband features a fast and easy smooth adjusting mechanism that offers a comfortable and optimum fit. 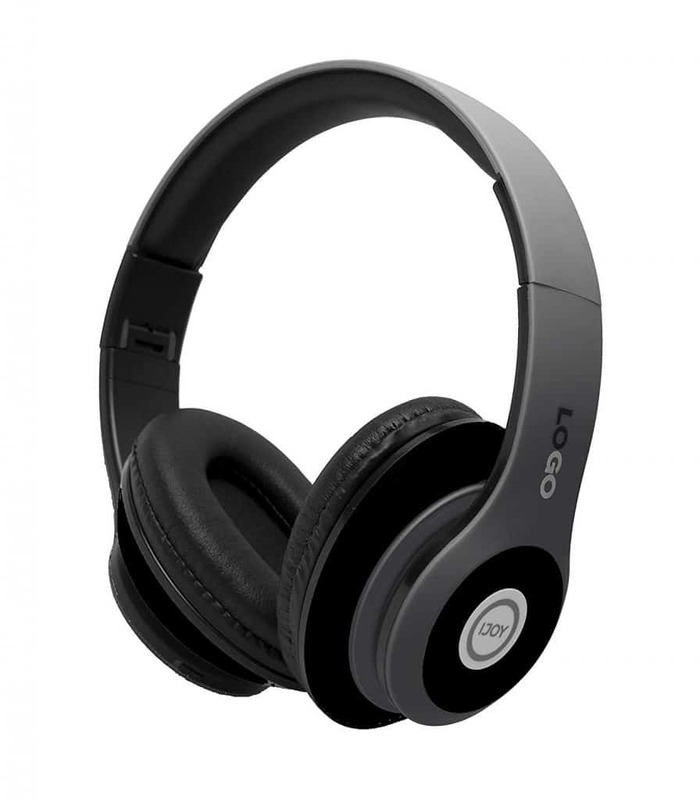 The durable headphone sports a sleek and lightweight design with a matte black finish that gives it a classy look. The black accessory comes with a 6.5 feet extra-long audio cord fitted to both the earmuffs. The circumaural unit offers the same excellent performance as its overpriced counterparts and is definitely worth the money you pay with its ability to provide long hours of listening enjoyment. The Rockpapa stereo headphone has excellent noise isolation and noise cancellation properties. The headphone encompasses an over the ear style earpiece type of design and an adjustable and stretching headband with soft padded ear pads that make it comfortable to wear even for long hours with its perfect fit. It comes with a 1.5 m cord with one fitted on one of the ear pads and a 3.5 mm jack on the other side. The accessory features stereotype speakers that ensure quality output and heavy deep bass with excellent noise cancellation properties. The headphone is compact, sleek and lightweight that makes it easy to carry the same with you wherever you go. It meets the requirements of both adults and children. The unit comes in six vibrant color options of black, purple, blue, pink, orange and green. 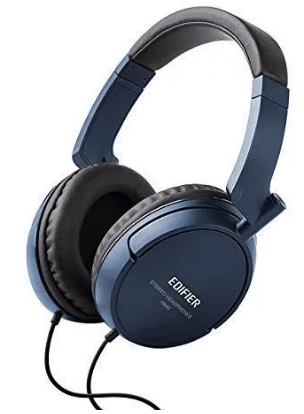 The Elecder headphone produces excellent stereo bass sounds with 40 mm high-quality drivers. The headphone comes with a flexible and adjustable headband that ensures it is suitable for both children and adults with heads of all shapes and sizes. The two soft earmuffs offer the dual advantage of making the accessory comfortable to use and blocking ambient noise so that you get an immersive and memorable listening experience. The inbuilt microphone supports high definition calls with utmost clarity while enjoying a hands-free listening experience at the same time. The built-in control mechanism allows you to receive or end phone calls and also pause or play music. The headphone has a folding mechanism that allows you to conveniently take it with you because it of its easy fit into a bag or suitcase. The bright headband design makes the accessory look distinct and stylish. The unit comes fitted with a premium and durable nylon 4.9 ft cord that makes it strong and less prone to damage, as well as eliminates the hassles of tangles. The free end of the cord is fitted with a 3.5 mm L shaped universal plug. It is available in five color variants of black, purple, blue, mint and green. The headphone comes with a user manual and features a one-year hassle-free limited warranty and quick response customer service. 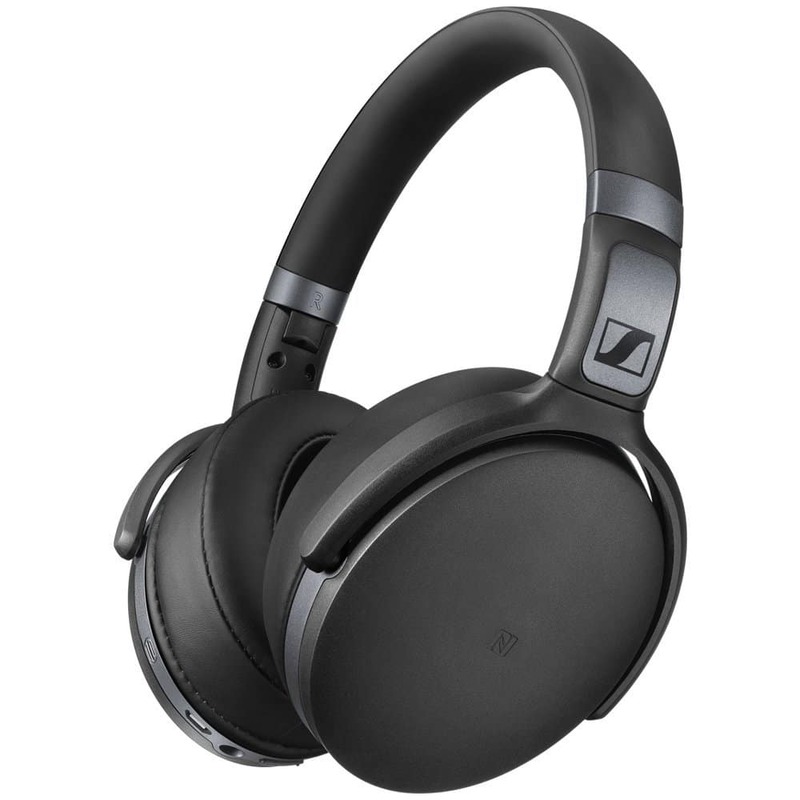 The Sennheiser wireless headphone incorporates aptX technology for noise isolation and exceptional, well-balanced detailed sound quality with true Hi-Fi sound and dynamic bass for all music genres. 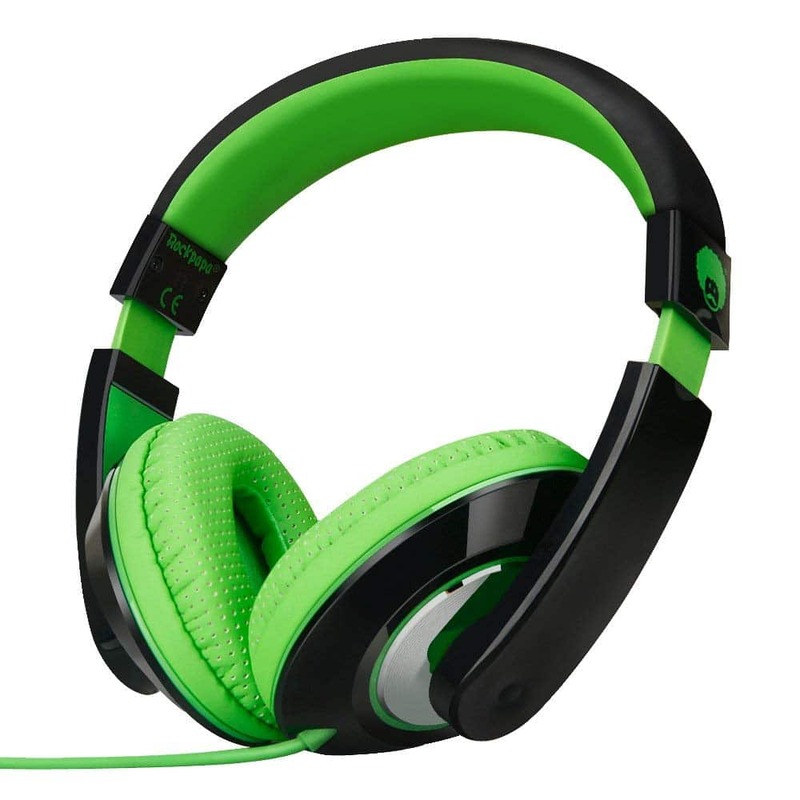 The black headset features an around the ear and closed back design. It comprises ear-cup mounted controls that help in adjusting the volume, making phone calls through the integrated headset and changing the music track. 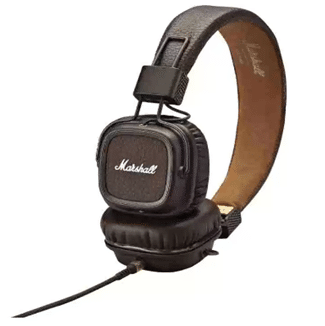 The ear pads are covered with soft leatherette that assures you of comfort even when you wear the unit for long hours. The position of the ear pads can be adjusted by moving the ear cups upwards or downwards until the pads cover the ears completely. The foldable headband and the side swiveling functionality of the ear cups make the accessory quite compactly and easily storable. 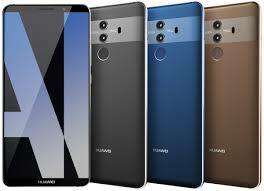 It supports wireless connectivity with NFC and Bluetooth 4.0 support. The headphone also allows battery-free listening mode with a detachable cable through wired connectivity. The minimalistic design and choice of premium robust high-quality materials give the accessory a distinct and elegant look. The unit works with a CR2 battery that has a long life of 25 hours. The headphone comes with a 1.4 m audio cable, a USB charging cable and a 3.5 mm gold plated angled plug. 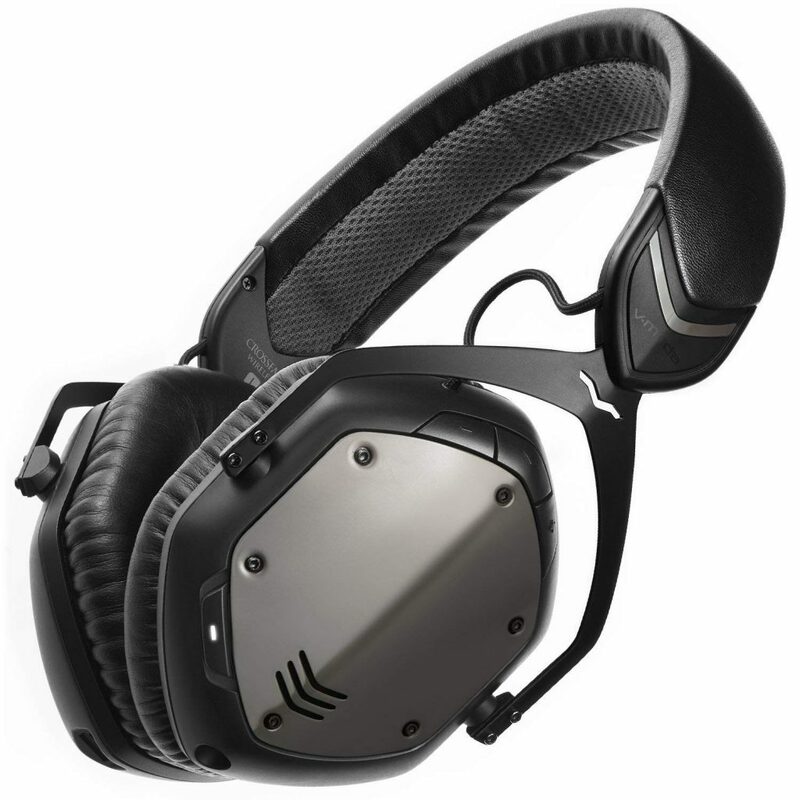 The V-MODA headphone supports both wired and wireless connectivity modes with the auto analog switch functionality. The wired mode ensures zero latency and pure analog audio. 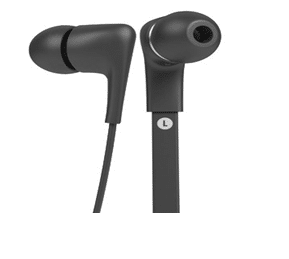 The wireless mode incorporates Bluetooth functionality that allows you to use the headphone at a distance of 33 feet or 10 meters. The accessory features dual diaphragm 50 mm drivers. The inner and outer rings help in separating the bass and preventing the mids and highs from getting overlapped. 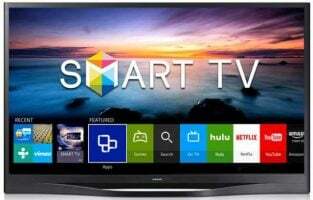 The unit also has an optimized antenna that ensures fewer music cutouts. It encompasses an inbuilt hidden microphone that is specifically optimized and tuned for voice recognition and phone calls. The headband and the ear cups comprises memory foam cushioning that make you feel comfortable when wearing the accessory while resulting in noise block or isolation and rendering optimal bass for an immersive 3D sound stage experience at the same time. The hexagonal pattern of the ear cups gives the headphone a distinct look. The device is made using a combination of vegan leather and steel that meets military-level standards. It is durable against low and high temperatures, salt sprays and humidity, and resistant to UV exposure. 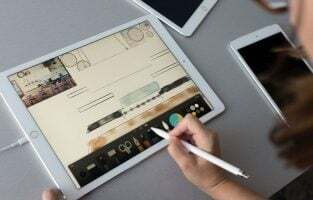 The accessory comes with a one-button SpeakEasy Mic cable, a V-Micro USB cable, laser engraved and 3D printed shields and a lithium-ion battery that supports 12 hours of uninterrupted use. The battery charges to 100% in just 100 minutes. With half an hour charge, the headphone can be used for a little more than three hours in wireless mode and for an infinite period in wired mode. The unit comes in four color choices of gunmetal, clear, silver/white and red. This high-quality Bluetooth audio device is from AKG Company, an American brand. 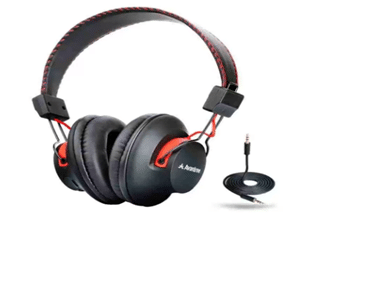 These headphones are very popular for its noise cancellation effect. Even if you are on the plane, it will cancel the sound of the engine. The audio quality is very good as promised by AKG. Charge this for half an hour and it will give your hours of entertainment. It is well balanced between both the ears and it doesn’t make you feel uncomfortable while wearing it. The sound is clean and the base is really good. Due to its design, it looks durable and quite comfortable. The ear cups are fluffy and soft so that you can experience comfort over ears. One of its advantages is that it is cable free. 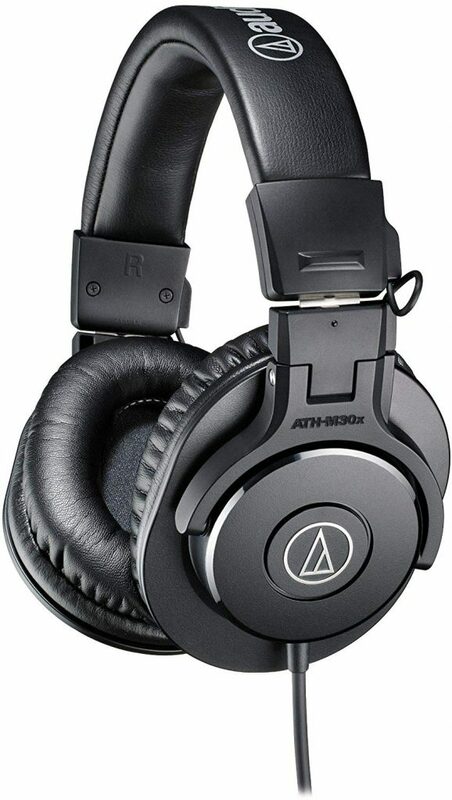 A professional studio monitor headphones which are the best pick for either your home or studio. 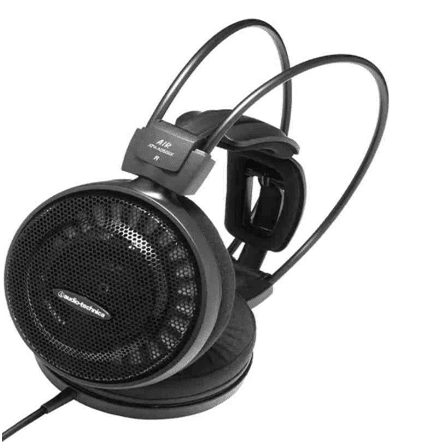 It comes with superior sound isolation and comfortable ear cups. It provides you with 90 swiveling earcups which enhance your experience and one ear monitoring. It comes with 40 mm drivers and earth magnets which are rare to get in this range of headphones. 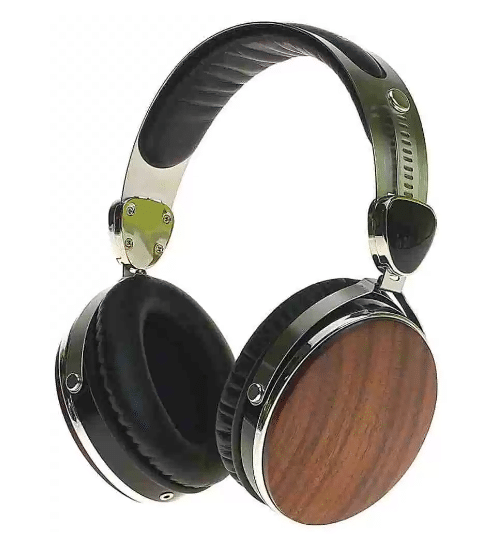 This luxurious looking headphone have an outer design made up of quality wood possesses unmatchable acoustic properties of wood. This headphone offers you lifelike experience and has very deep bass. This extraordinary headphone comes with a 3.5 mm sound jack. These Wraith earphones come with an implicit in-line amplifier which actuates Voice Control, answer or end calls and also skip tracks. Symphonized has really delivered an outstanding product at such low price. 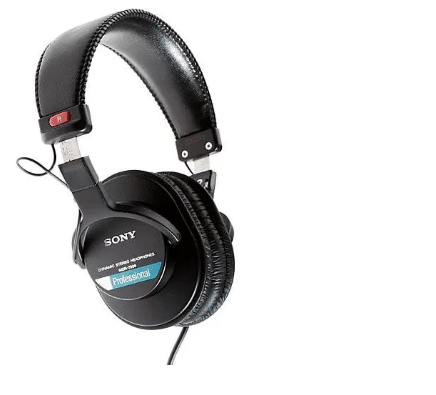 This is one of the favorite headphones for recording engineers and sound professionals. This is introduced by Sony and its design is sthe ame as Sony MDR-V6, but this is leaner with more extended treble range. It makes your listening experience livelier. It weighs eight ounces which are lighter than many of the other headphones. It comes with a 10 feet long cable which is connected to the left earcup. This product gives you great fitting and allows you to experience natural sounds. This headphone is the best you can buy if you love to sing. You will love various features of this headphone as it can be connected with two phones simultaneously. It’s a good option for chatting and gaming as well. It allows automatic switching feature between calls and music. Its battery life is about 40 hours. This pair of In-ear earphones is capable of producing surprisingly accurate sound. 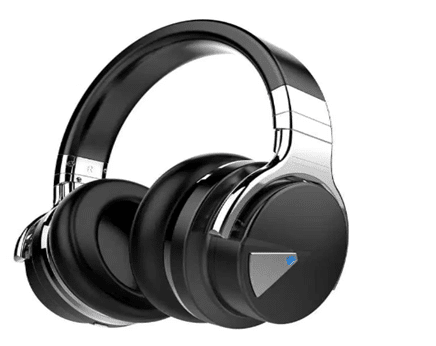 According to Head-Fi, this pair is better than many headphones twice its price range. Its Bass, midrange, and highs constraint, all are available in a good way. These headphones are so stylish that you can even wear it as an accessory. It has a unique design and is very easy to use. You may buy this headphone in various colors. 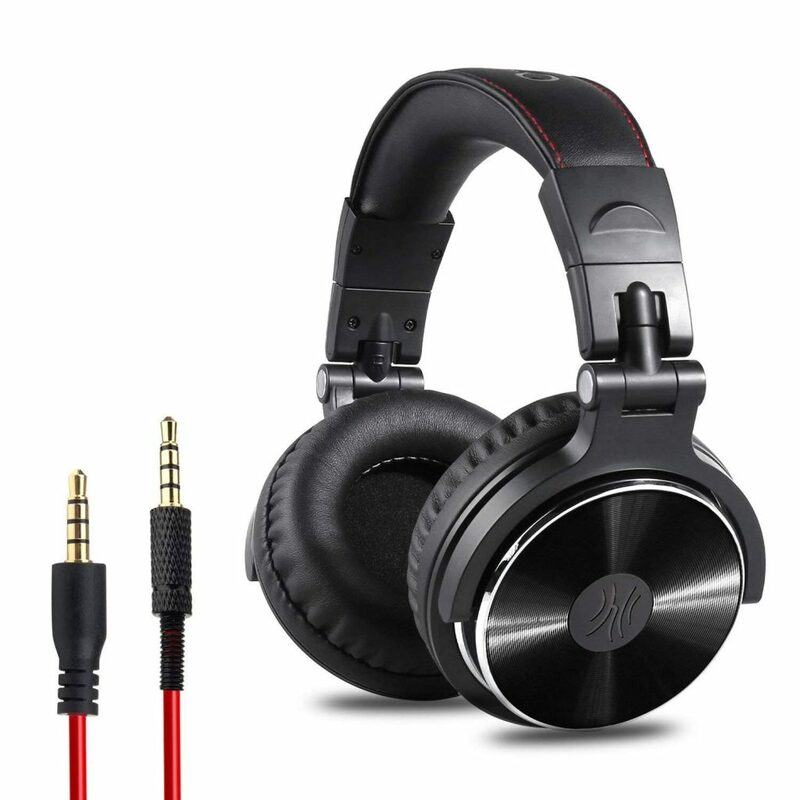 If you are a headphone lover, then this is a must pick as it comes with the leather padding. It provides you with the best possible bass and comes with a detachable cable with a microphone. It also has buttons to control volume and its 40 mm drivers are handmade. This also blocks the background noises and gives you the best music experience. These are intended for extraordinarily open tuning. 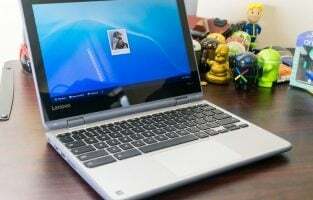 You will not feel its weight as it has a lightweight aluminum honeycomb packaging and its outer frame is made up of magnesium. At the left earpiece, it has straight OFC link. It is composed of 53 mm drivers and CCAW voice loops. Its self-altering wing helps to adjust according to your head size. The product looks fragile but it won’t get damaged unless intentional. It is low priced stereo headphones which are built to make you experience the lively sound of your music. It is made up of stunning material and gives you comfort whole day long. Its design is rich and gives you a style statement. 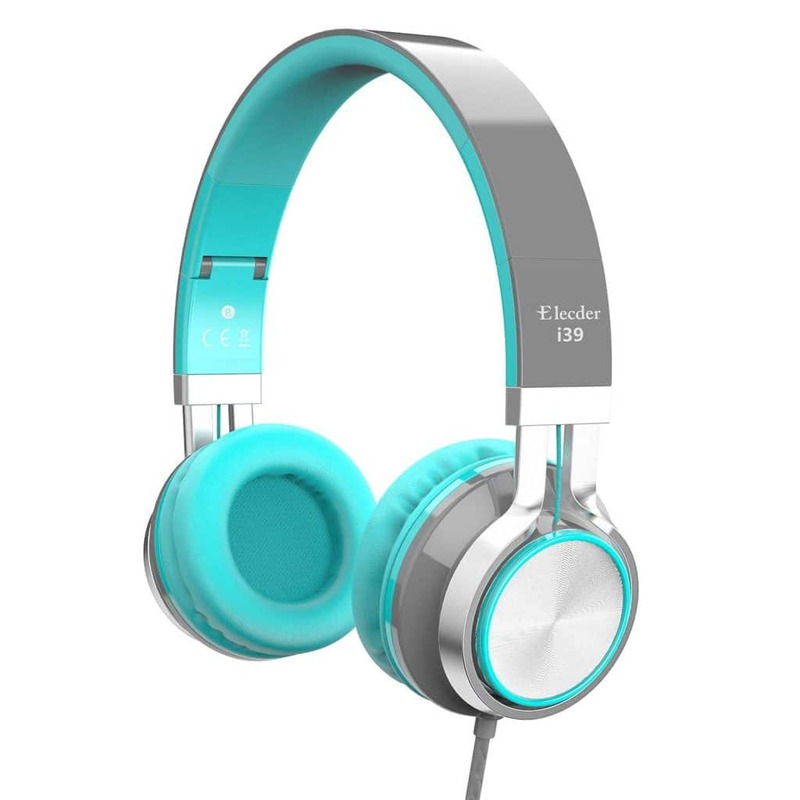 This headphone is lightweight, tough and durable which is available at affordable prices. You can easily adjust the earbuds and rotate it to 90 degrees. Its wire is 2m long for easy access. Today, headphones have become an essential accessory of any music lover or gaming aficionado. This is primarily because the device helps them to enjoy the sound at really loud levels without disturbing others. Most headphones are economically priced that makes them very easy for you to own. Depending on the type you are comfortable with, you can opt for a wired or wireless model. So, if you are sceptical of a mess due to wire tangles, you can buy a wireless headphone that works with Bluetooth. On the other hand, those who give importance to ruggedness can look at headphones that come with steel frames. And for people who have a fancy for colors, there are headphones that meet this requirement as well. Last but not least, those who love using online voice chat instead of typing messages can take their pick from the wide range of headphones with inbuilt microphones. While some of these devices have broad headbands, there are counterparts with slim ones too to match your style quotient. In a nutshell, whatever your demand is, there is a headphone with an affordable price tag that meets your needs without you having to worry about having to burn a hole in your pocket.